Narration, or storytelling, is defined as orally presenting causally related events or an experience in temporal order (Hughes, McGillivray, &Schmidek, 1997; Peterson, 1990). Narrative discourse plays a critical role in the development of discourse and literacy, and forms the bases of many social interactions (McCabe, 1996). Narrative skills begin to develop in the preschool years and continue to be refined throughout childhood and school-age. The purpose of this study is to present and discuss the unique data, in Greek language, of children’s narrative abilities through a five picture event sequencing story. 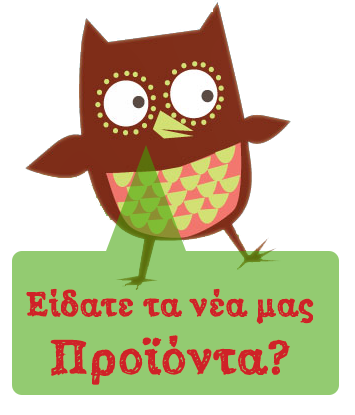 Results of the study indicate that Greek preschoolers scored very well in story sequence as well as in narrative abilities. In both variables more than half of the participants scored substantially well in all key factors of the assessment. Narration, or storytelling, is an important aspect of language for young children. Narrative skills have academic and social importance (Spencer& Slocum. 2010). Storytelling reflects children's pragmatic language ability, which develops rapidly in early childhood and is related to various characteristics of the child's environment (Urska et al., 2010). Narration is a precursor and a predictor of literacy attainment and early narrative abilities predict later academic performance. Feagans and Appelbaum (1986) found that narrative skills were better predictors of academic problems than were syntax and semantic skills. Moreover, Fazio, Naremore, and Connell (1996) examined a number of language skills in kindergarten as potential predictors of need for academic remediation in second grade. When compared to vocabulary, grammar, rote memory, and morpheme learning, story retelling was the best predictor of academic remediation in the second grade (r = .40). Development of narrative skills is demonstrated through the use of increased numbers of episodes and complex embedding strategies (Hedberg & Westby, 1993), but also through pragmatic features, such as the more advanced use of referencing and adjustments to the listener’s needs. According to Stein & Glenn, 1979 children at the age of 3 can tell stories about real-life events combined with emotional content including all parts of the episode such as initiation and plan of action. By five they are able to sequence events chronologically and gradually order multiple events if their culture values this type of discourse (Peterson & McCabe, 1983). The study conducted from four Speech and Language Therapists (SLTs) and participants were recruited through kindergartens in region of Epirus and Macedonia in Greece. Inclusion criteria for participants were: 1) age between 4.11 and 6 years old and 2) consent forms from parents and teachers where they don’t seem to appear with any developmental or sensory disorders through to clinical observation and parental and teacher information. All participants first asked if they would like to take part in the study and only after they agreed the assessment took place. The study obtained ethical approval by the Organization for Social Protection and Preschool Education from the City Council of Ioannina, Kastoria and Thessaloniki. The story used in this study is taken from The Test of Receptive and Expressive Language Abilities (TRELA) (Vogindroukas, Grigoriadou 2009). TRELA is an evaluation test for young children and pupils with language and communication difficulties. All participants were evaluated with the same sequence story. The story consists of five pictures of a boy in an everyday routine. Pictures show the boy during his morning preparation for school; waking up, wearing clothes, brushing his teeth, eating breakfast and going to school. All the participants interviewed in their school environment. The key words used as predictors for the narrative were the verbs describing each action the boy was doing in the pictures. More specifically they were: waking up, dressing up, brush, eat, goes, in order of appearance. There was no time limit during the assessment. A total of 50 participants were eligible to take part in the study. Their mean age 5.6 years and they ranged from 5 to 6 years old. Success in story sequencing is 60%. 30 of the participants managed to put the pictures in the right order. 14 of the participants that ordered the pictures in a wrong way made a mistake between two specific pictures and 6 of them sequence the story in a wrong order. The recorded narrative used to evaluate the expressive ability level (EAL) of the participants and evaluate how many of the key words were used to form the narrative. The EAL was counted in words and the average was 18 words per narrative ranging between 14 and 37 words. In terms of the key words most of the participants used all five of them. 43 of them (86%) used all the key words, 5 of them (10%) used four words and 2 of the participants (5%) used only three words. Regarding sequencing results can be compared with previous Greek studies where success was enough smaller, 15.5% in Koskina & Lazaridou 2006 study and 31% in Antoniadis & Karagiannis study. It is worth to mention that in previous studies the mean age was smaller (58 months). Worth to mention that most of the participants manage to order correctly the picture task were between 5.4 and 5.10 years old. There are no clear evidence or results concerning the success but if Peterson & McCabe (1983) study can be taken into account the success result should be higher. Narrative skills indicate a good narrative in terms of the number of words but there is no adequate context, syntax and grammar based on the age of the participants. Those results are in absolute accordance with results of Westby (2012). Narratives can be compared with the results of Vogindroukas’ (2002) study where EAL was measured with Derbyshire (Picture Test of Derbyshire Language Scheme) (Knowles & Masidlover 1982) and the mean of words expressed was 4.78. In Derbyshire the five - six words level is the highest and it can be assumed that participants had also a good EAL. 2. Fekonja-Peklaj, Urska, Marjanovic-Umek, Ljubica, Kranjc Simona (2010). Procedures for assessment. Eau Claire, WI: Thinking. of good stories. NY: McGraw-Hill. 121–142. learning disabled children. Journal of Educational Psychology, 78: 358-364. Speech and Hearing Research, 39: 611-624.
processing (pp. 53–120). Norwood, NJ: Ablex. of looking at a child's narrative. New York: Plenum Press. 11. Antoniadis, M., Karagiannis, S. (2007). Language Ability Task for Preschoolers. 12. Koskina, X., Lazaridou K. (2006). Language Ability Task for Preschoolers. T.E.I.